Project Finance is a method of infrastructure finance which has become increasingly relevant in times of stagnation and instability in the banking markets not only in Ukraine but all over the world. Though there is no universally adopted definition of this financing technique, David Gardner, a financier from HSBC, defines it as “the raising of finance on a limited recourse basis, for the purposes of developing a large capital intensive infrastructure project, where the borrower is a special purpose vehicle and repayment of the financing by the borrower will be dependent on the internally generated cash flows of the project”. As a more discernible financing technique, it was adopted widely during the 1970s in the development of the North Sea oilfields and also in the U.S. power market following the 1978 Public Utility Regulatory Policy Act (PURPA), which provided the regulatory impetus for independent power producers through the requirement of long term offtake contracts for the power they produced. Arguably the most prolific use of project financing has been the U.K. Private Finance Initiative (PFI) which began in 1992 and has been actively promoted and managed by successive British Governments that commoditized public-private partnerships into a systematic programme. In Ukraine big hopes were connected with public-private partnerships (PPP) as it is a specific form of Project Finance where a public service is funded and operated through a partnership of Government and the private sector, typically structured under a long term concession arrangement. These expectations were not satisfied in fact, though the Ministry of Economic Development and Trade of Ukraine declared on 182 agreements that have been performed in Ukraine under PPP by the beginning of 2018, including 157 concession agreements, 1 PPP agreement and 24 joint activity agreements, where 116 agreements were in waste recycling and 10 — in heat production and supply sectors. A leading expert in the field, prof. I. Zapatrina stated that the declared agreements were made under the ideology of state purchases but not PPP, and did not suppose any serious investments. She and other specialists in the field, based on evaluation of the environment for PPP in Eastern Europe and CIS made in 2012 by the EBRD together with The Economist, considers that Ukraine is still not ready for PPP as Ukrainian state bodies dont have all the habits for planning, approval and control over PPP, do not wish to retain experienced counselors in the field. In addition, state bodies have no due independence in decision making, tenders are of poor quality, the country’s population is disadvantaged, and that is grounds for impossibility to compensate expenses for infrastructure development, and specialized debt instruments to finance loans for projects are absent, the investment rating of Ukraine is very low, the state partner makes its financial liabilities based on the annual budget while PPP projects are long termed. Irrespective of these drawbacks the legal base for PPP was improved at the end of 2016, allowed to set up a special purpose vehicle for PPP realization. educational services, etc. Irrespective of such a wide range of PPP implementation projects, the finance market continues to be dominated by power and transport projects. Ukraine, which has huge demand for domestic infrastructure development, has failed to attract global project financing though these sectors have long asset lives and typically have predictable revenue streams that might become ideal assets for project financing. This failure can only partially be explained by pending Russian-Ukrainian war. Extra to state drawbacks above is lack of modern legislation promised to be developed in 2015 but declared for readiness only by the end of 2017. Though the new law has not been adopted yet the Government has already approved a State programme under which up to 1000 km of highways will be built under concessions. lending at this stage irrespective of the market’s maturity. One of the segments for project finance is commercial aircraft finance, that has been developed in a special industry because of the peculiarities of aircraft as very complex, dangerous and expensive1 assets. The common types of aircraft financing are secured loan, finance and operating leases that are often mixed to give a financier effective protection. All these types are used in Ukraine though the operating lease is the most attractable. Aircraft backed loans used in Ukraine for purchase of business jets and helicopters are usually structured as simple mortgages (asset-based) or as finance leases. Private investors or airlines typically put in about 15% of the aircraft’s value with banks financing 85%. In case of a Boeing’s direct purchase from the manufacturer by a Ukrainian airline, the Export Import Bank of the United States may work alone. In case the aircraft is purchased by a foreign leasing company with further aircraft lease to Ukrainian airlines, the leasing companies usually work with leading banks (Wells Fargo, DVD Bank, Erste Group Bank AG, etc.) that make club or syndicate deals. Depending on aircraft or leasing company needs, short-term (revolving, warehouse, bridge loans) or longer term financing may be attracted. In case of new aircraft purchase buyers are typically expected to make pre-delivery payments that can account for between 10% and 20% of the aircraft’s total value. This money is usually borrowed, provided by most banks in return for long-term financing. Countriesthat haveaircraft or components manufacturers make it easier for foreign buyers to finance imports, offer their support through ECAs that either lend to foreign importers directly or reduce the risk of them defaulting by guaranteeing loans made by the banks. This is particularly important in emerging markets to which Ukraine belongs where finance can be less readily available. Support depends on where the aircraft, components to it or flight simulators are manufactured, rather than where the buyer is based. The most significant export credit agencies for aircraft financing sector are UK Export Finance, France’s Coface, Germany’s Hermes, ATRFrance’s Coface and Italy’s SACE, The Export Import Bank of the United States, Export Development Canada and Brazil’s Banco Nacional de Desenvolvimento Econômico e Social (BNDES). Because export credit financing could be used to give one manufacturer an advantage, the OECD manages negotiations between all the major commercial and business aircraft manufacturing countries, and export credit loans are governed by an Arrangement on Officially Supported Export Credits whose last version of 2011 was signed by: Australia, Brazil (even though it is not an OECD member), Canada, the European Union, Japan, Korea, New Zealand, Norway, Switzerland and the US (Russia and China were invited to participate but chose not to). This Arrangement is annexed with the Aircraft Sector Understanding, that dictates threshold conditions for official support. The eligible currencies which may be used have been expanded from euros, UK pounds sterling and US dollars to include Japanese yen and other fully convertible currencies for which the minimum interest rates required can be calculated. Sector Understanding specifies the maximum amount of support, maximum repayment term, principal repayment mode, interest and minimum premiums that are calculated depending on the risk classification of buyers or borrowers, which are based on their senior unsecured credit rating. The Sector Understanding also details minimum commitment and arrangement fees and recognises that pure cover premiums may be charged as an up-front amount or financed as a per annum spread over the outstanding principal. 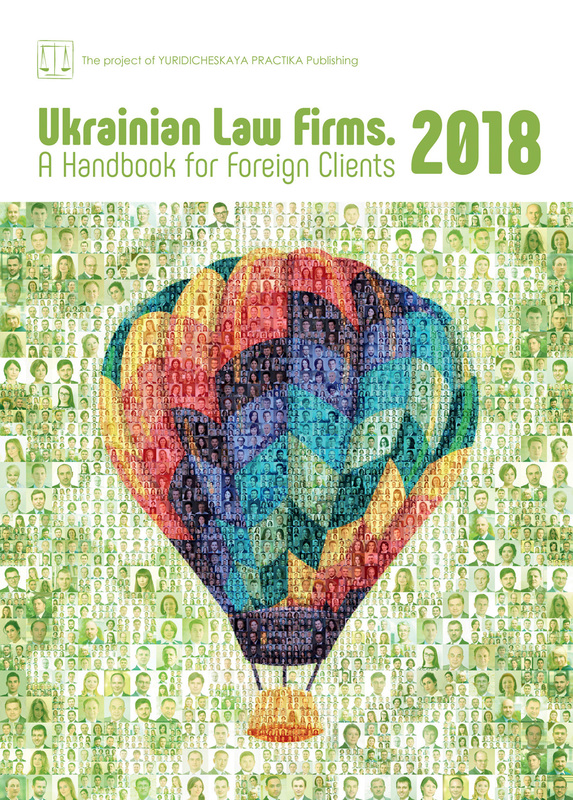 In response to the coming into force of the Cape Town Convention On International Interests in Mobile Equipment (СTС) and Aircraft Protocol to it, to which Ukraine is a party, the Sector Understanding allows a discount from the “base premium” if the operator/borrower/buyer/lessor is based in a Contracting State which has made specific declarations and which is on an agreed list. The required declarations include the relevant State agreeing that it will apply the “hard insolvency regime” and the strict de-registration and export procedures under the Aircraft Protocol. Though Ukraine has made a declaration on application of regime A of the CTC, which is the hard one, and applies de facto the de-registration and export procedures under the Aircraft Protocol, that application may not be treated as a strict one because customs authorities are not involved in the process of assistance to aircraft repossession, while this is vital for a creditor. That is the reason for not including Ukraine in the OECD-CTC discount list to purchase aircraft equipment. Practice has proved that this is not an obstacle in new aircraft purchase for Ukrainian airlines or private investors.